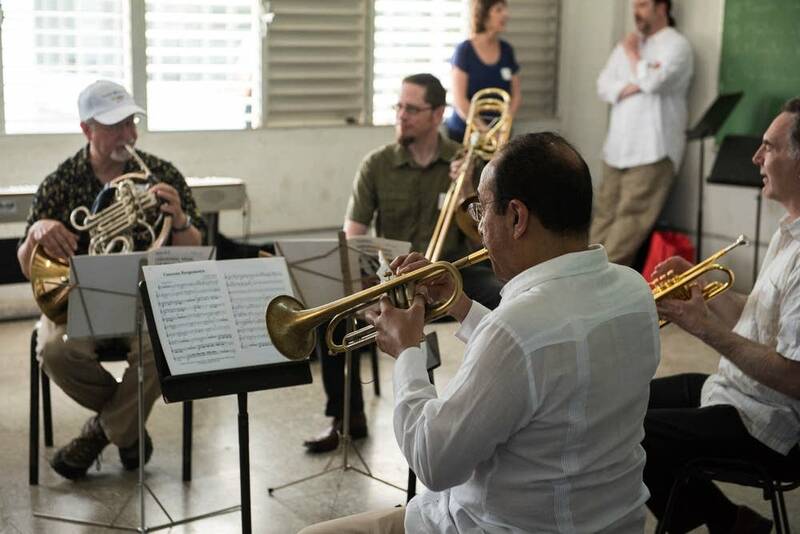 As they geared up for their much-anticipated first concert in the Teatro Nacional in Havana on Friday night, musicians of the Minnesota Orchestra took time out Thursday to mentor music students. 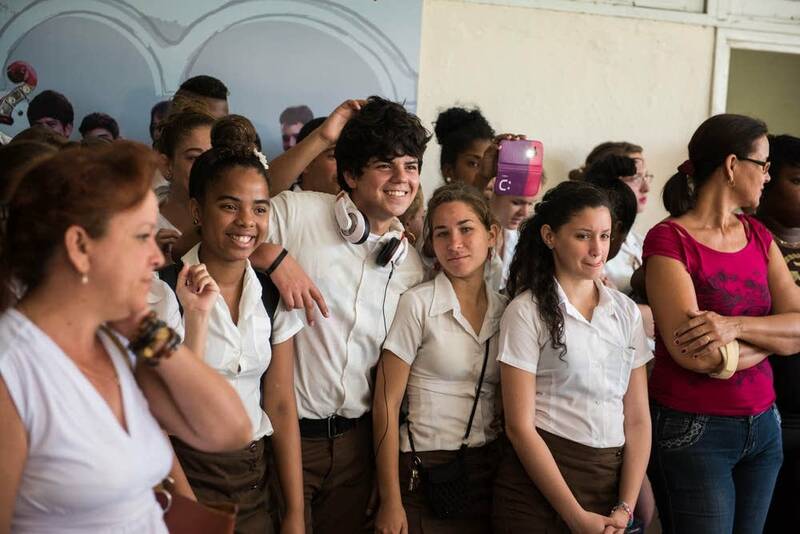 The energy was evident as hundreds of teenage students at the Escuela Nacional de Arte packed into the school's entryway. They stood in the sweltering Havana heat ready to greet the visiting musicians who had come to teach master classes. The string players headed to one classroom, the trumpeters to another. Acting principal oboist John Snow was able to conduct his class in Spanish. "And quien sabe Johann Sebastian Bach?" he asked. "Si?" The students laughed but then listened attentively as he played. Some of the classrooms were packed, with students lined up three deep at the door. The music spilled out through the open windows. Some of those who couldn't get in just made the rounds. Speaking through a translator, one student said, "We hadn't seen this in the school before. We are very excited. We are [going] from one classroom to another enjoying the different performances of each instrument. We don't know where to go. We don't have time enough for all the different classrooms." Similar master classes were underway next door at the college-level Instituto Superior de Arte, where Music Director Osmo Vanska focused on conducting. He covered everything from hand movements to the relationship between conductor and orchestra. "You have to listen to the orchestra but at the same time it should be your interpretation," he said. "You are still in control." Vanska was impressed with the students. He's also impressed by how the people of two countries seem to be rebuilding a relationship on a personal level. "It's much more complicated to hate someone if you know that person," he said. "Also, I think music is still the only international language. It sounds exactly the same in different countries." Later Friday, the orchestra will hold a joint rehearsal with a Cuban youth symphony. Friday night, it's showtime, when the orchestra will take the stage for a concert broadcast live across Cuba, becoming the first U.S. orchestra to perform in Cuba in 15 years.